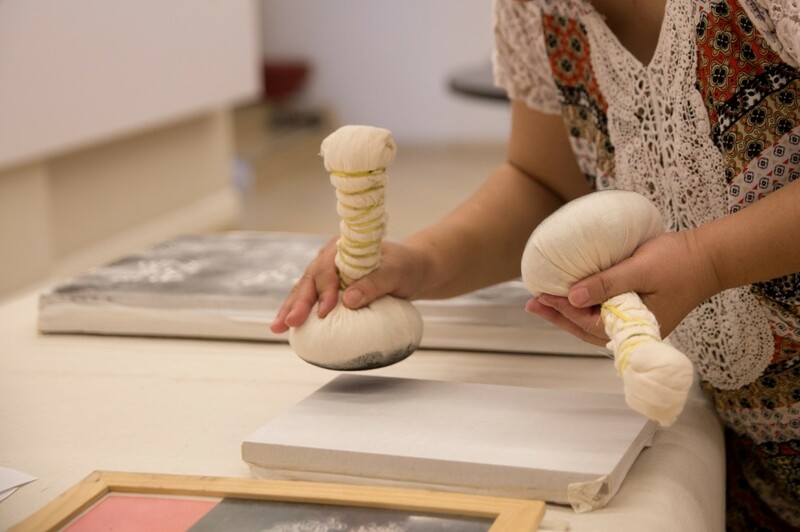 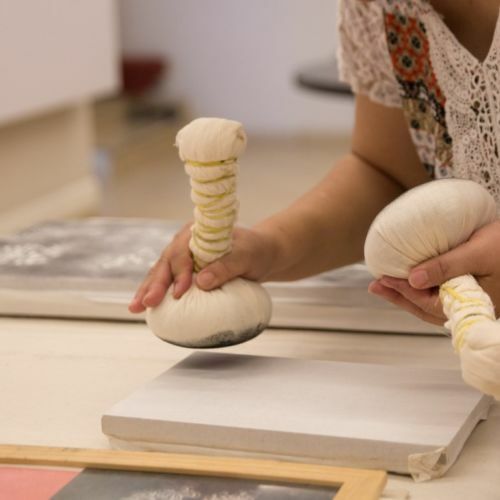 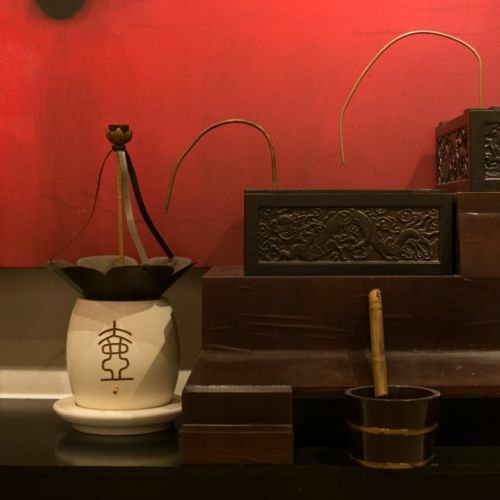 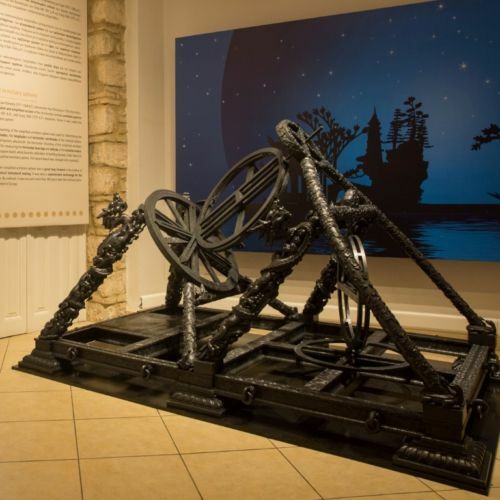 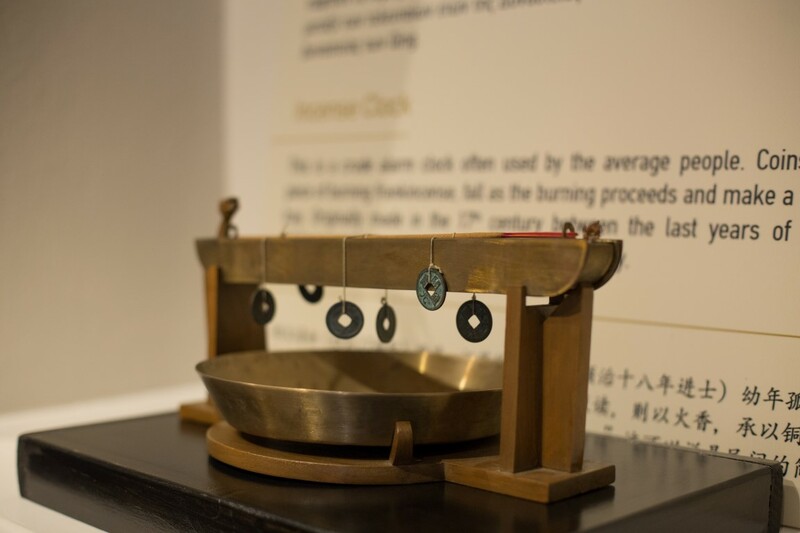 Ancient Chinese Science and Technology – Pan Art Connections, Inc. 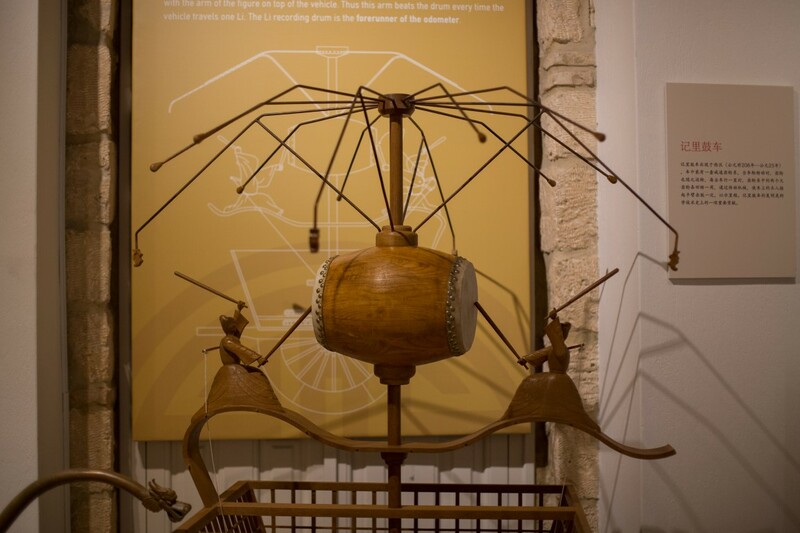 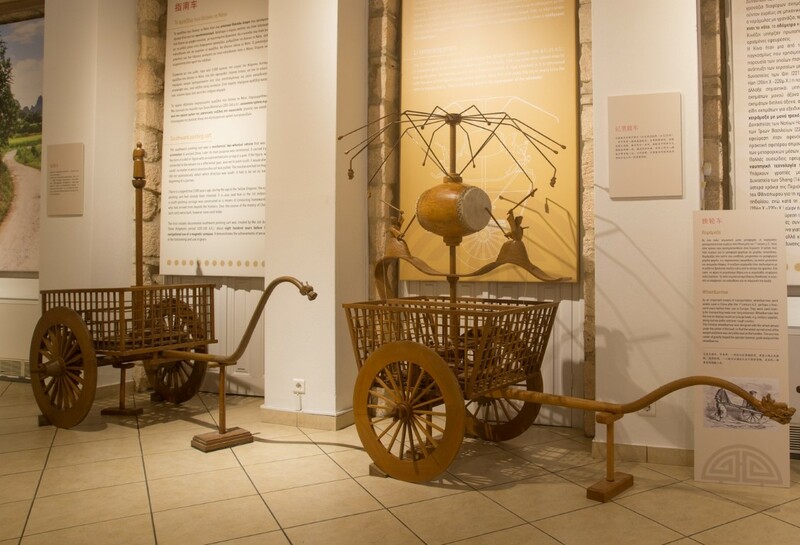 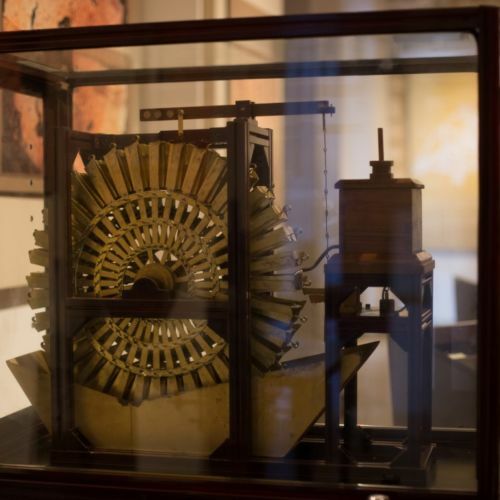 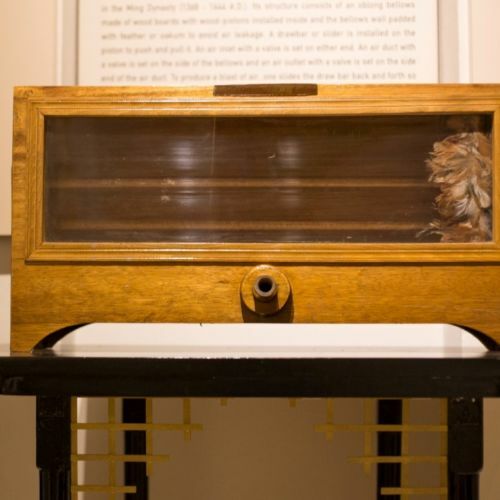 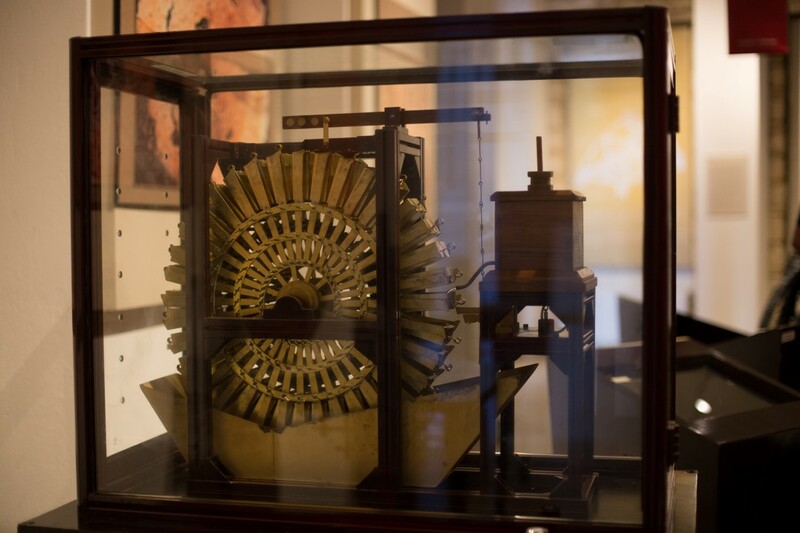 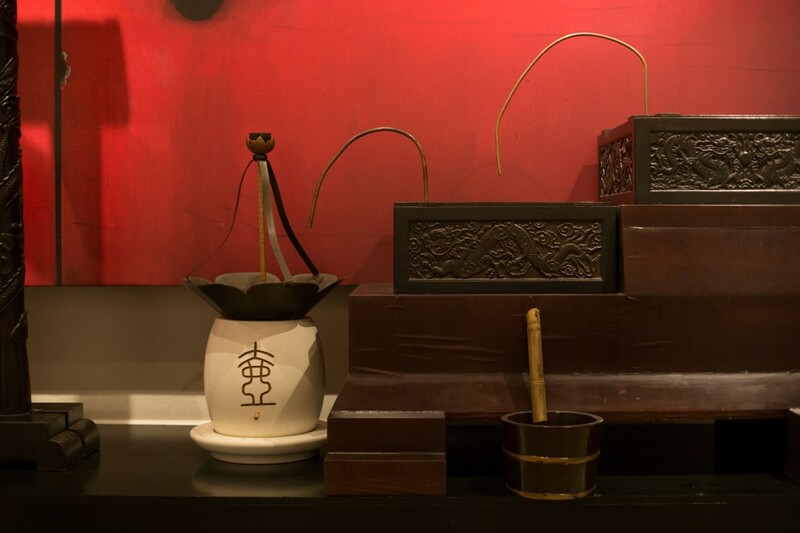 The remarkable inventions and technological achievements of the Chinese civilization have not only shaped but continue to influence the world today as they did at their inception. 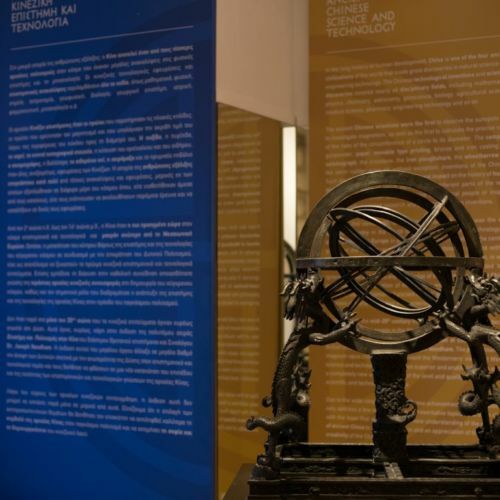 Chinese scientific discoveries and technological inventions cover almost the whole spectrum of the sciences, from mathematics, physics, mechanical engineering, astronomy, to geophysics, botany, etc. 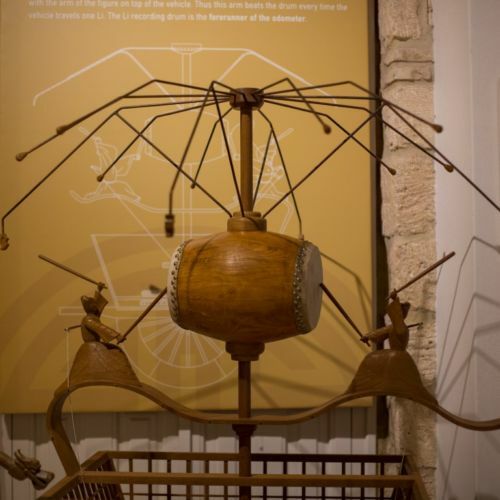 and are still being used by the whole world today. 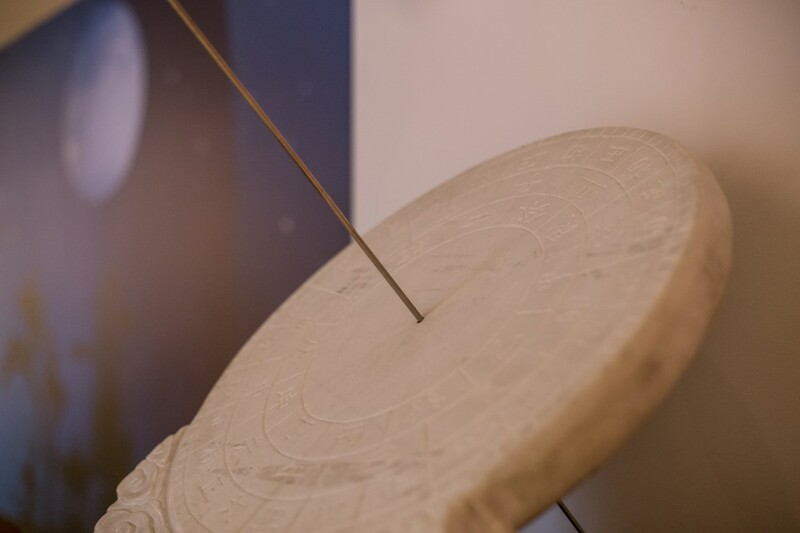 The ancient Chinese scientists were the first to observe the sunspots, they researched magnetic phenomena, but also calculated, as did the ancient Greeks, the value of π – the ratio of the circumference to the diameter of a circle. 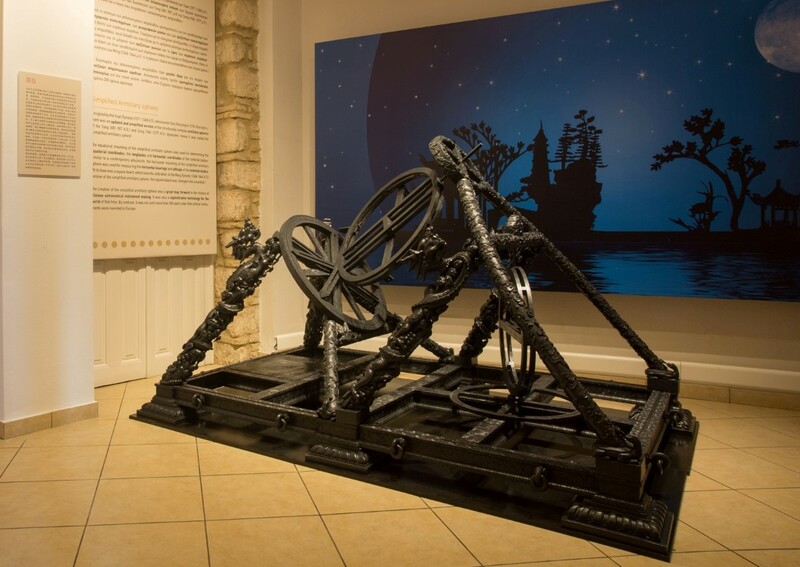 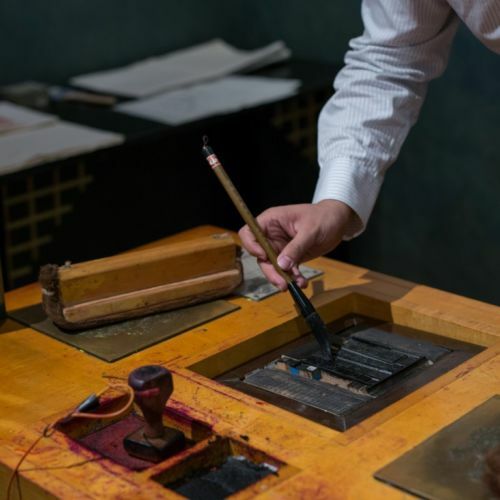 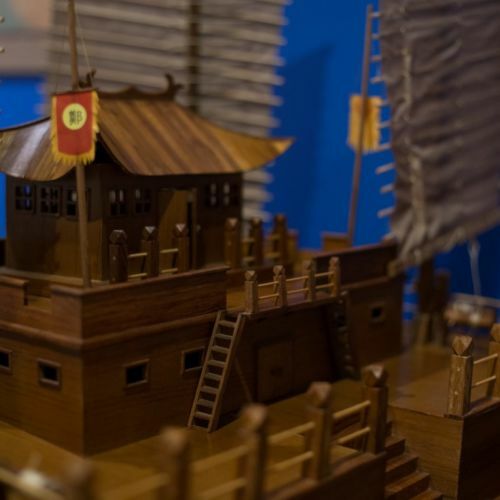 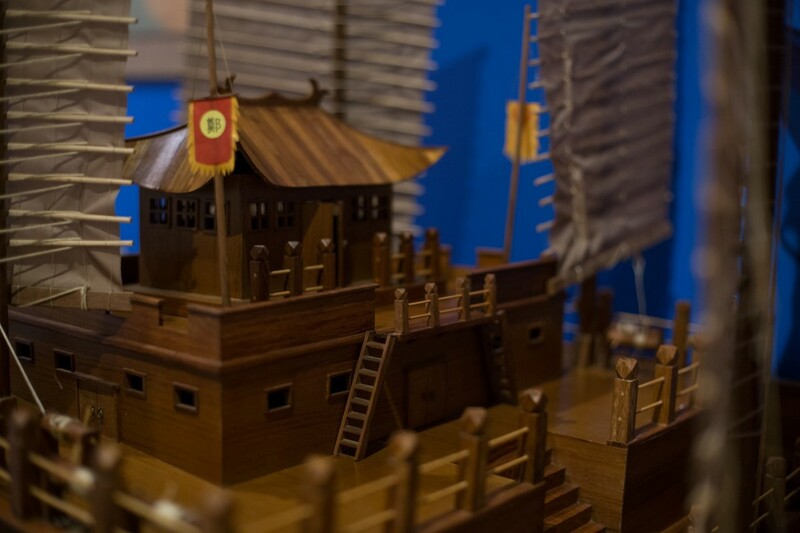 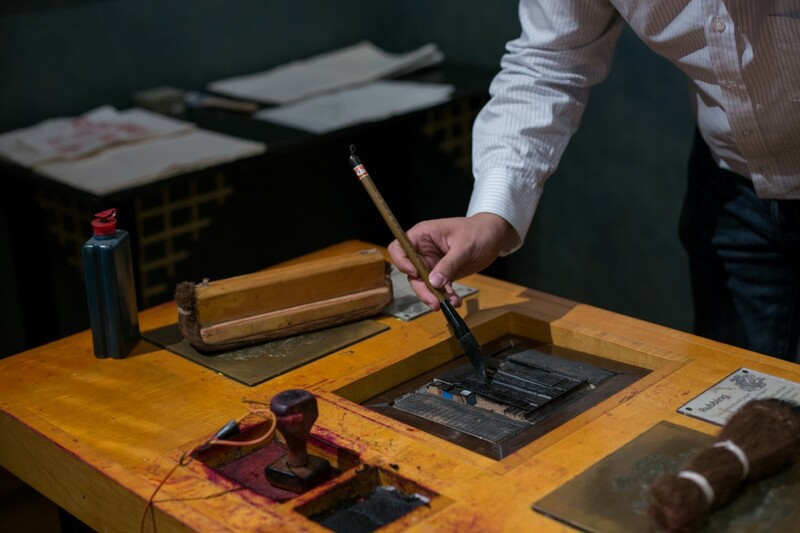 The compass, gunpowder, paper, moveable type, bronze and iron casting, the seismograph, crossbow, iron plowshare, wheelbarrow, and the stern rudder are some of the technological achievements of China. 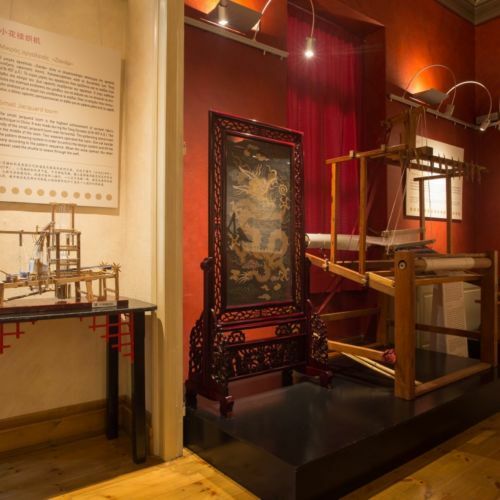 This collection consists of over 90 exhibits, all accurate reproductions of the most important Chinese inventions dating since the third century B.C.E. 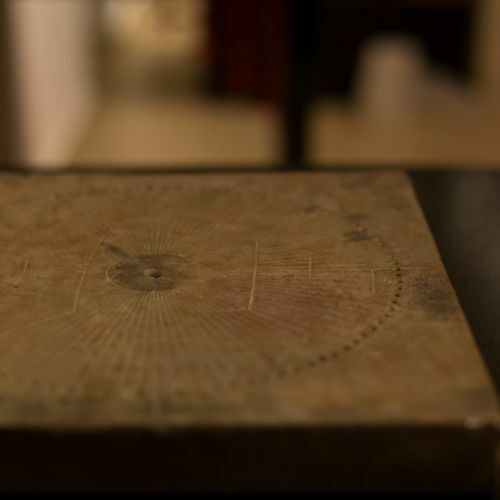 through 1000 A.D. 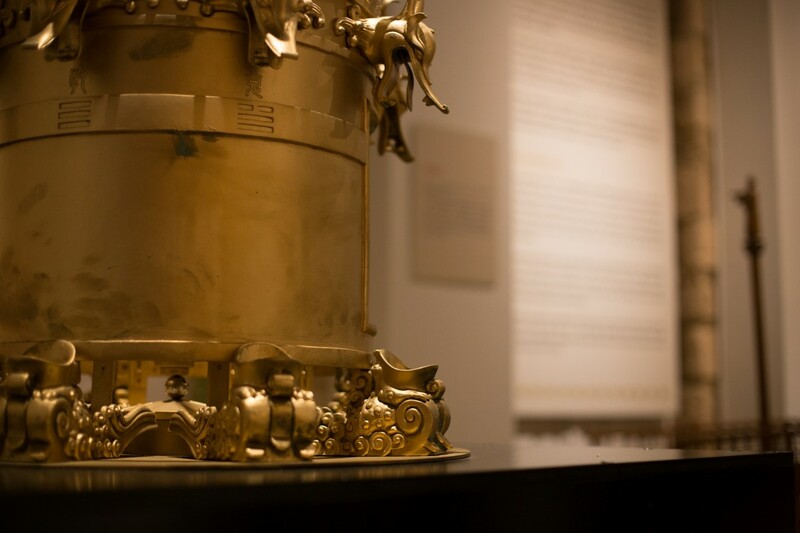 Among the objects are the first ever recorded seismograph cast in bronze with its eight elaborately designed receptacles in the form of frogs (132 A.D.), ancient agricultural tools and inventions (i.e., the ancient Chinese plow that first appeared 5000 years ago and the first wheelbarrow, which was constructed a century, approximately, before the equivalent European one), the first printing press which was operational centuries before Gutenberg, a very large wood sculpted armillary sphere and other astronomical instruments, textile equipment, the forerunner of the odometer, ships, etc. 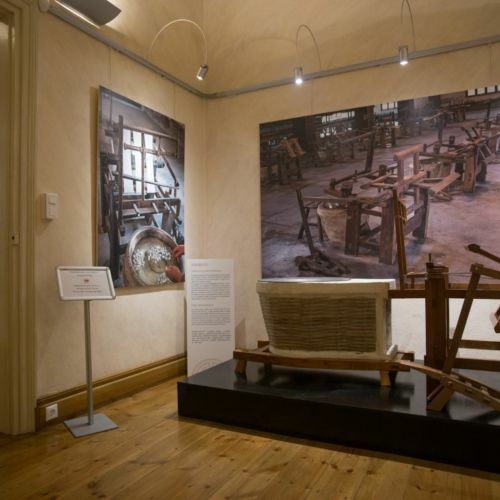 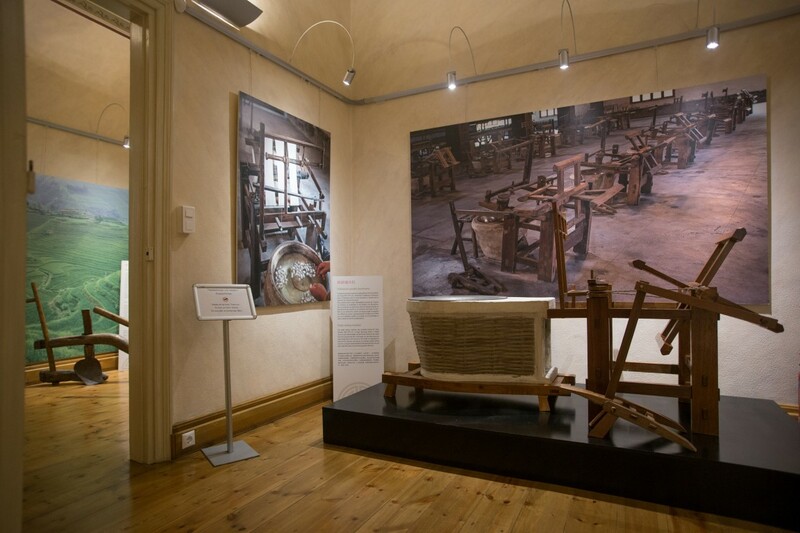 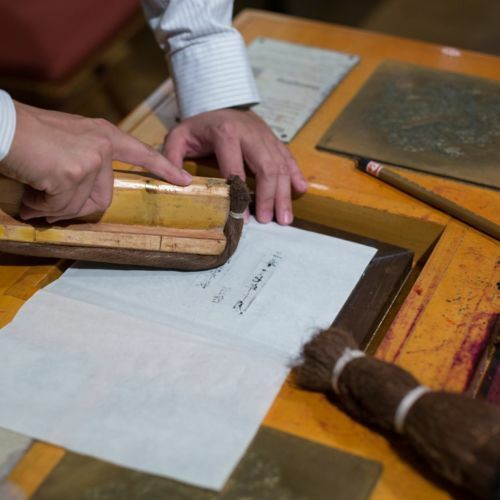 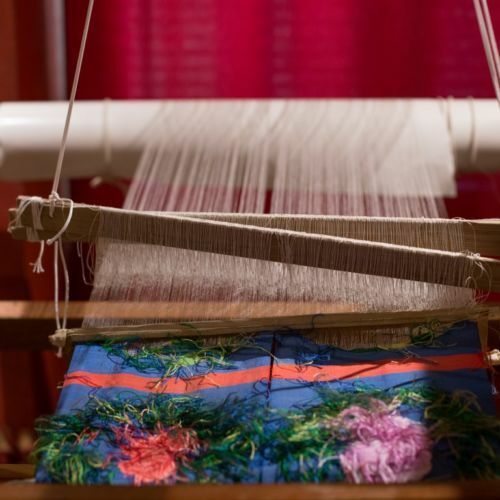 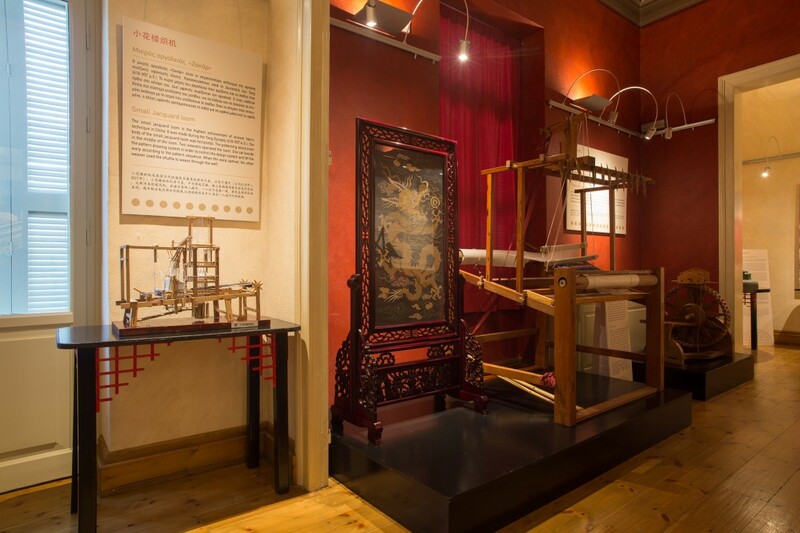 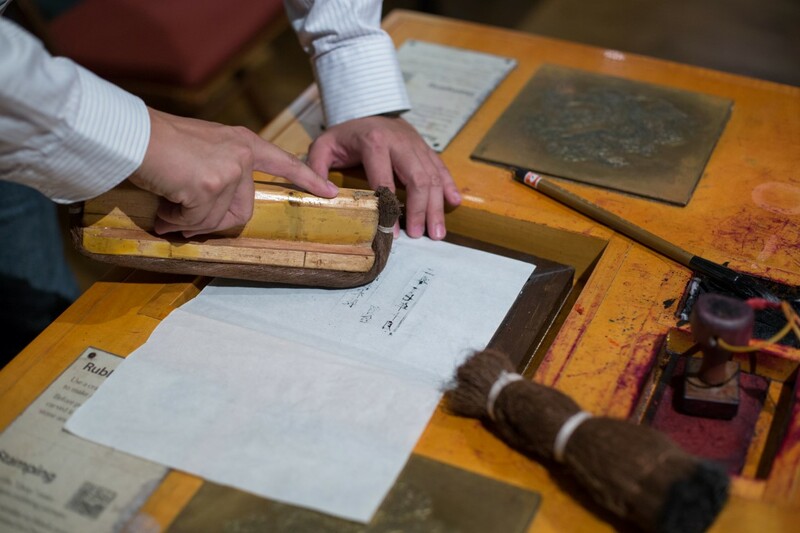 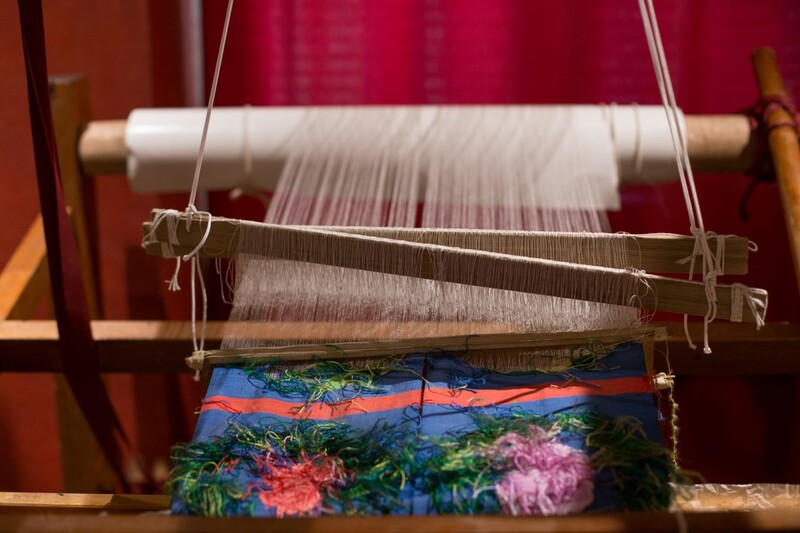 The collection is divided into thematic units, such as: Astronomy and Time Measurement, Navigation and Orientation, Weaving and Embroidery, Papermaking and Printing. 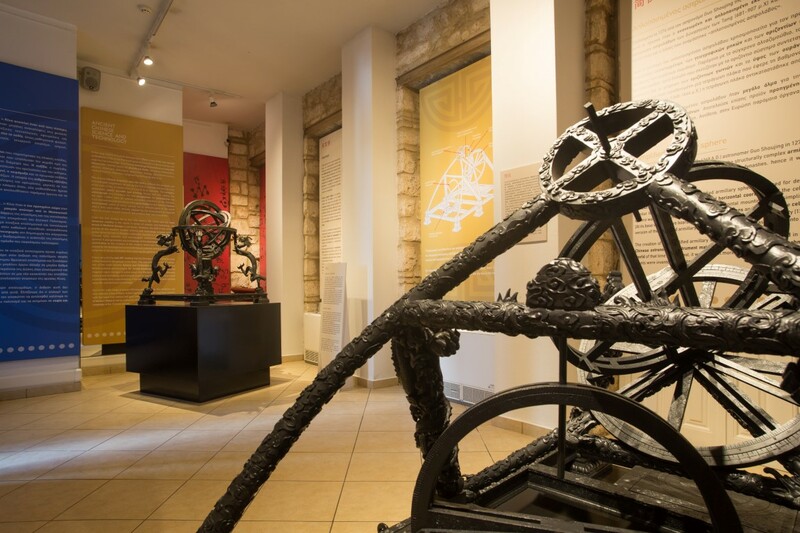 The topics covered are a treasure trove for educational programs, guaranteed to keep students’ interest. 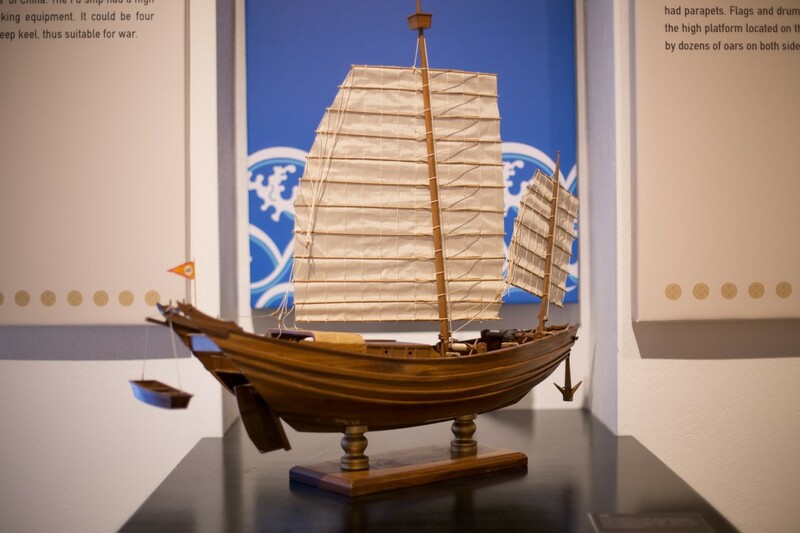 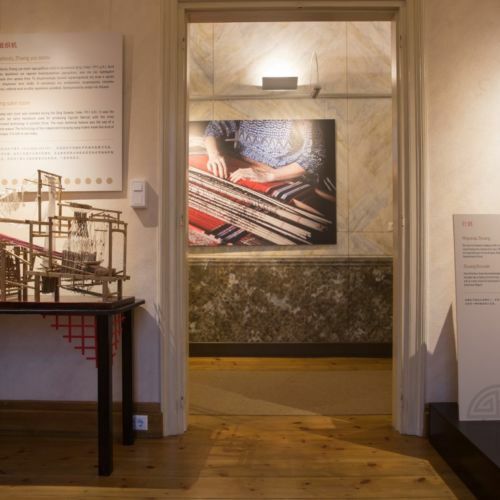 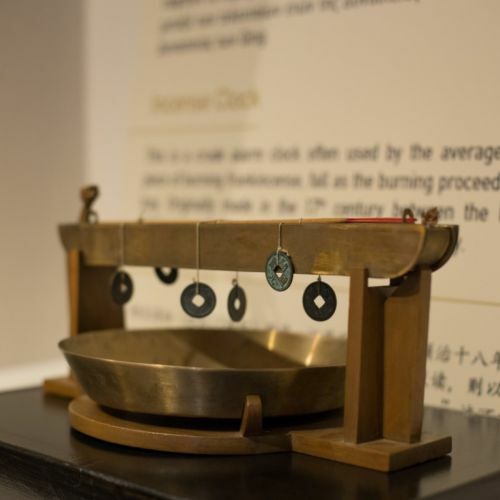 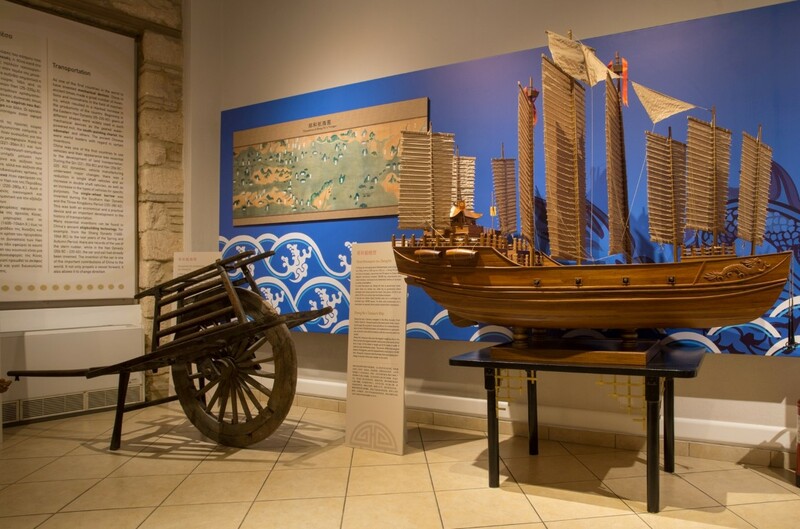 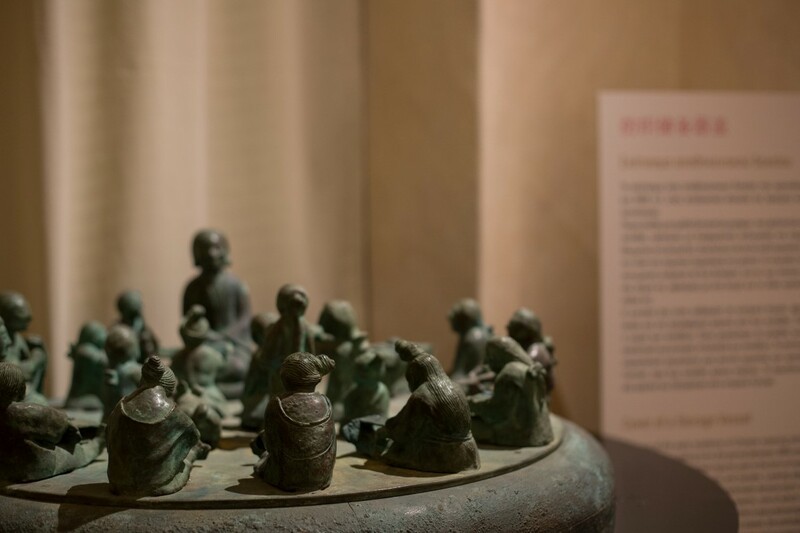 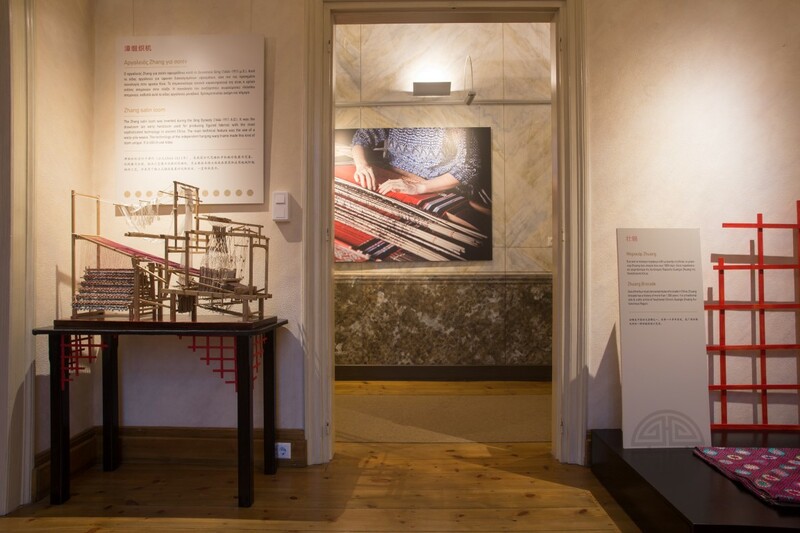 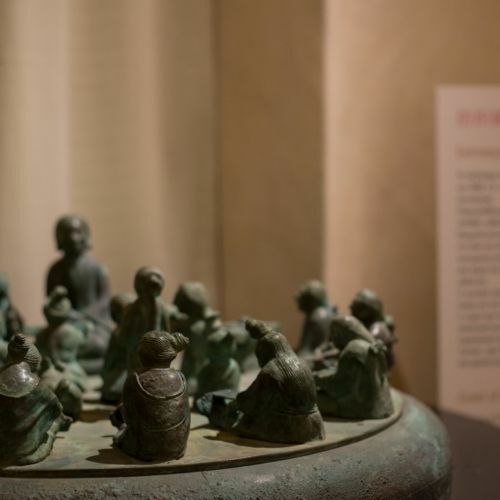 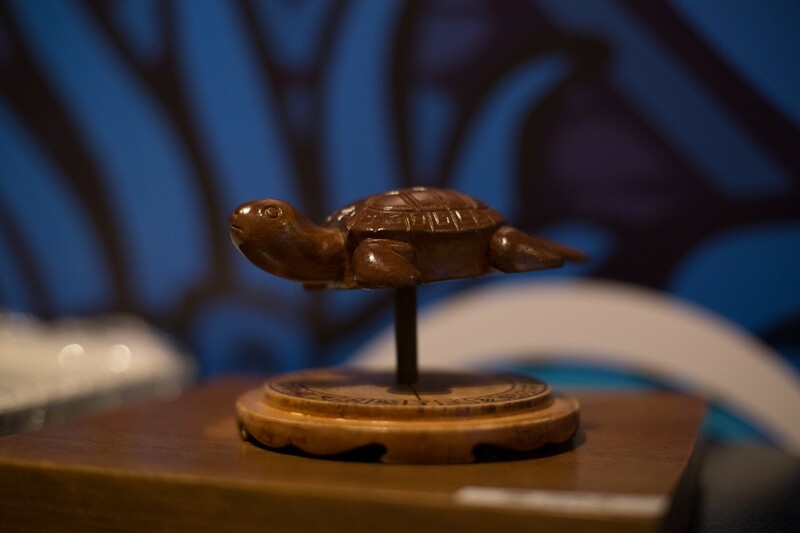 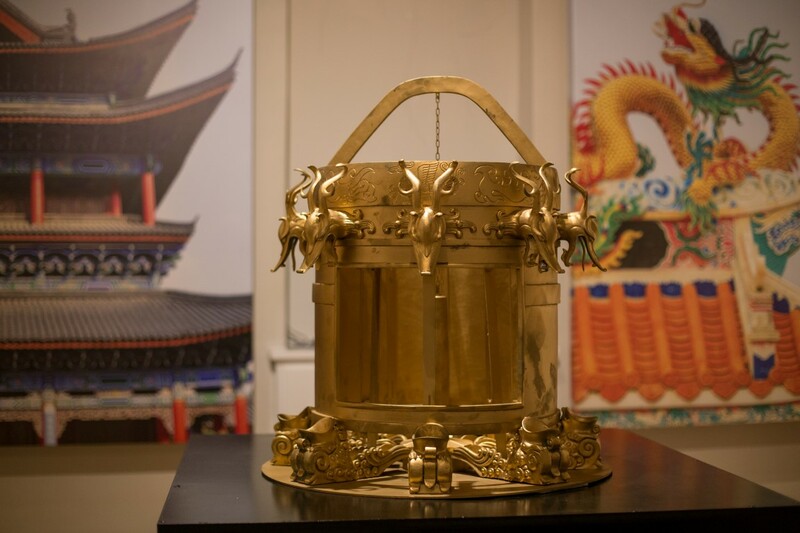 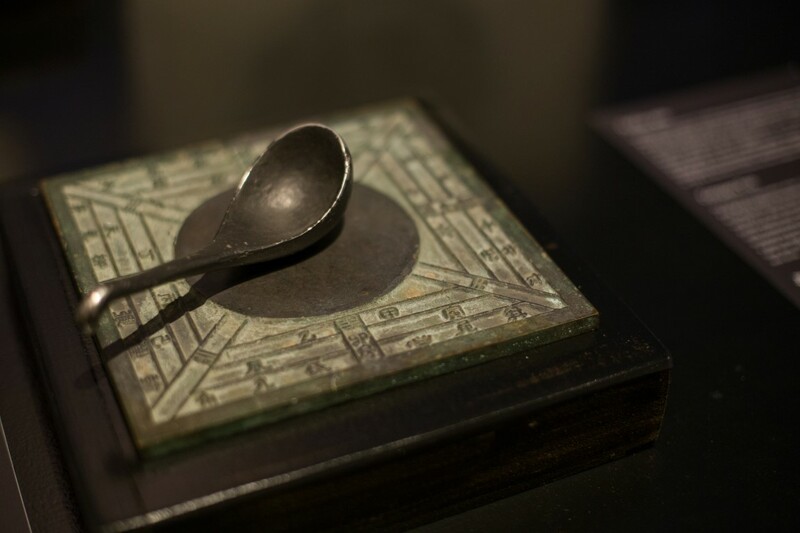 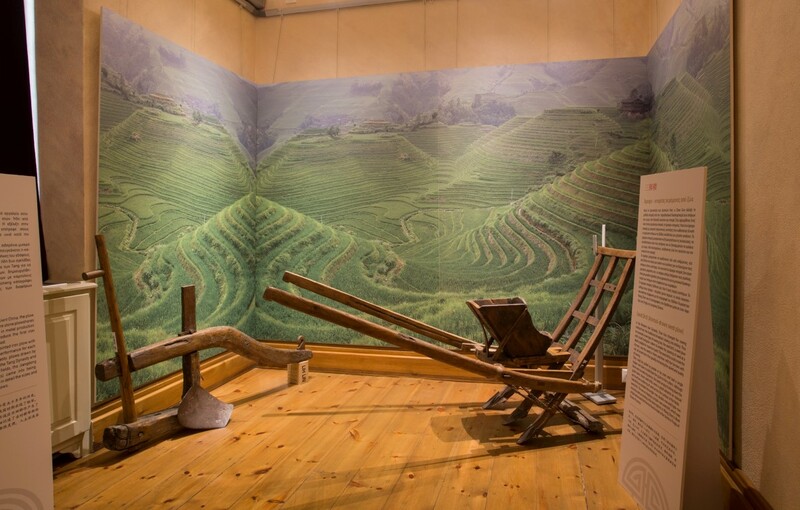 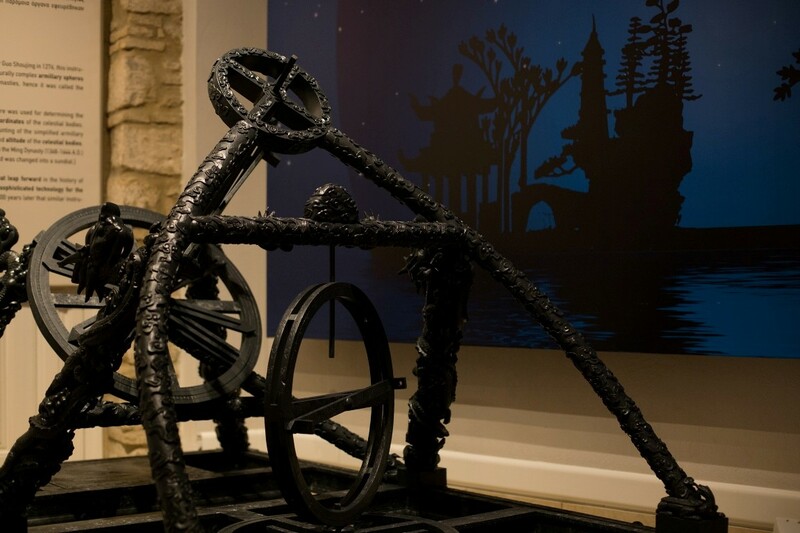 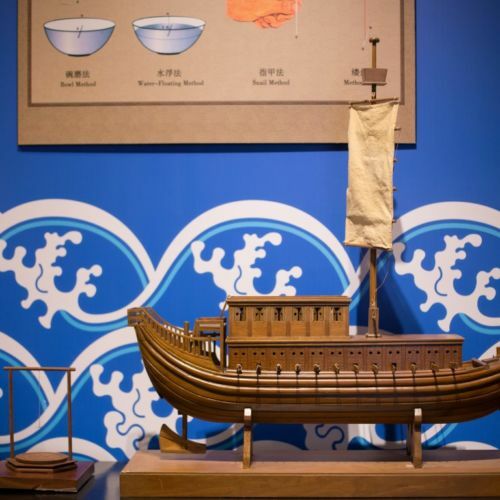 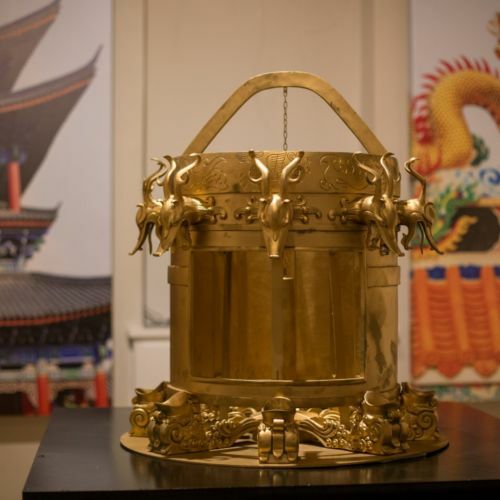 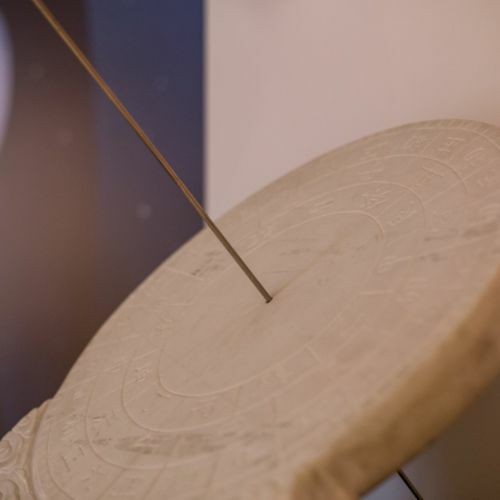 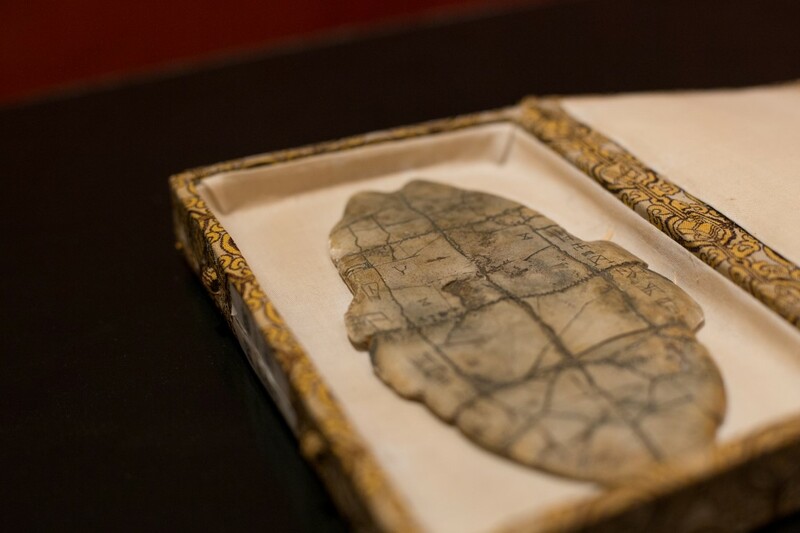 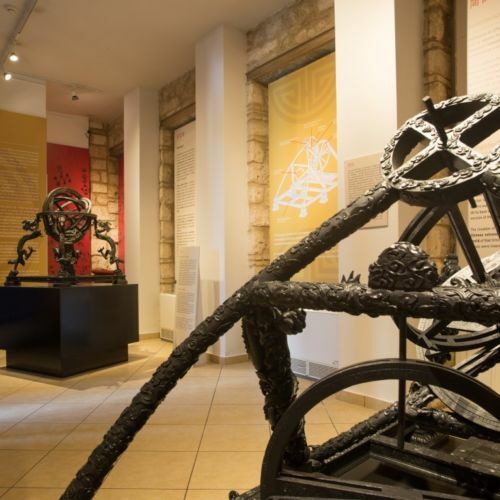 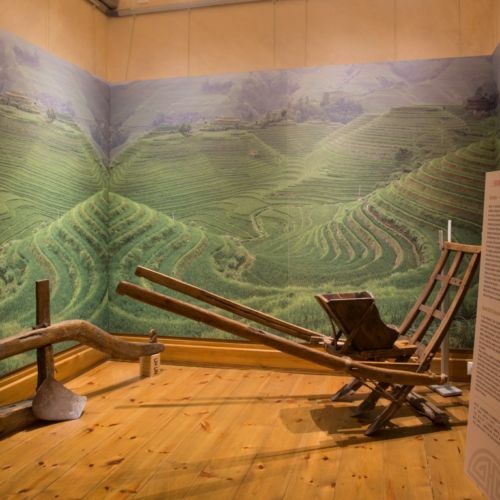 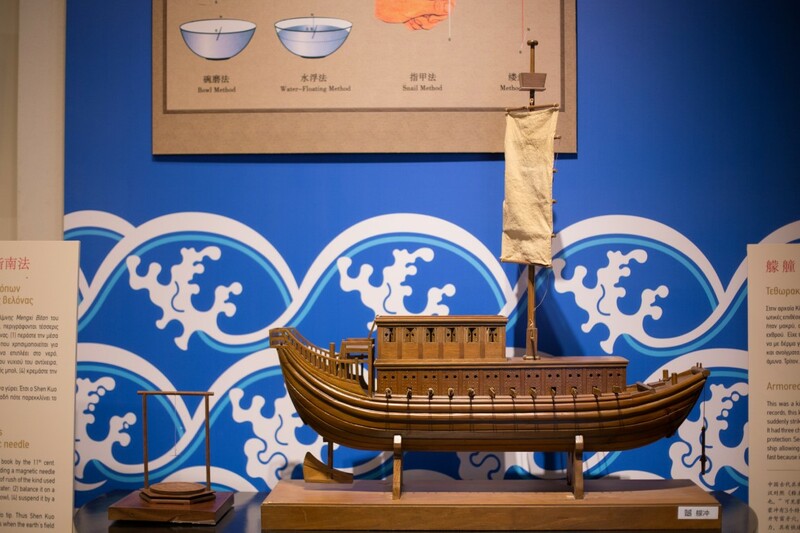 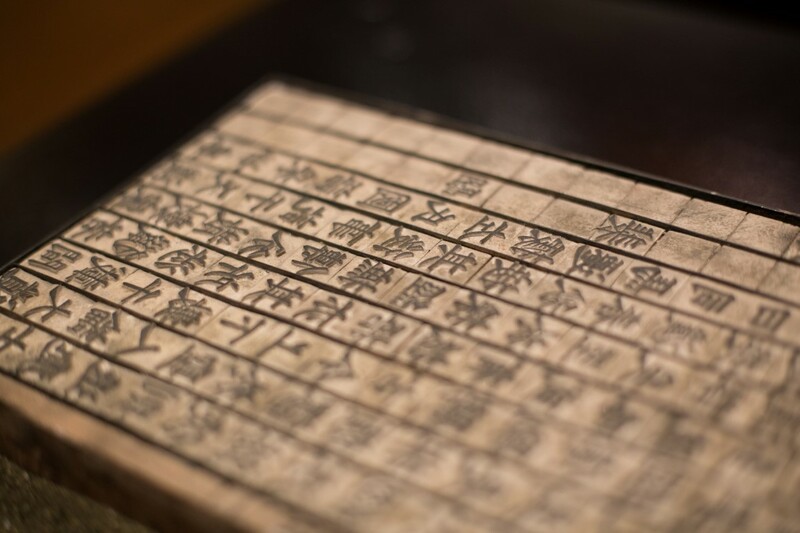 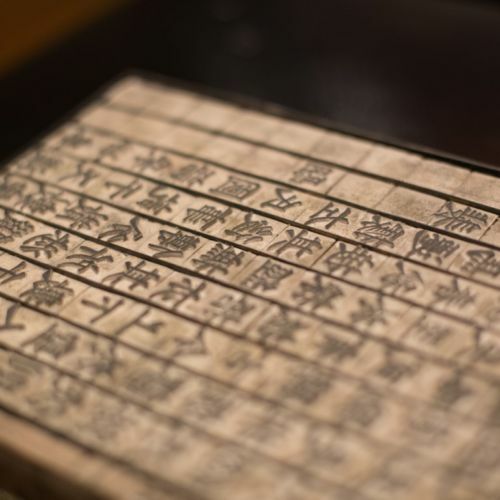 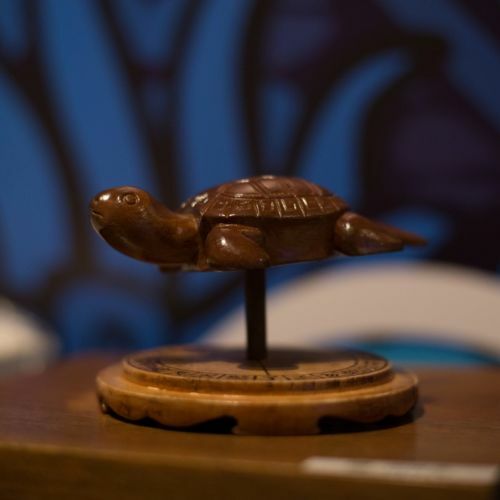 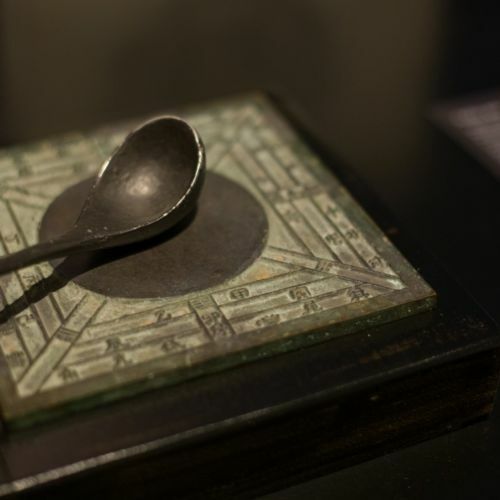 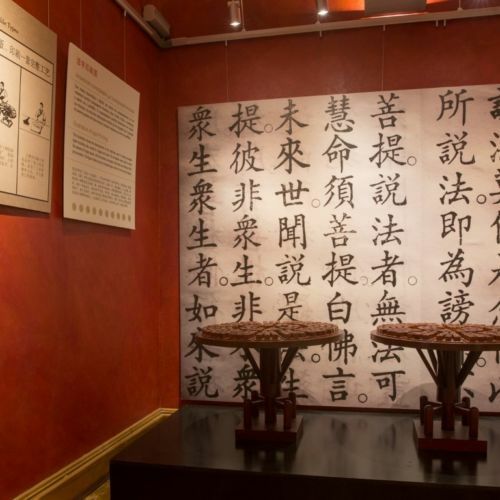 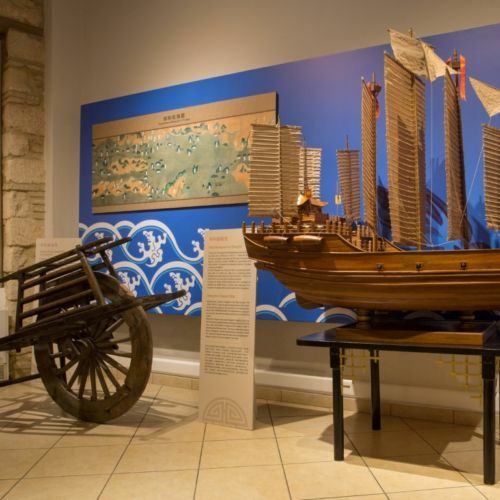 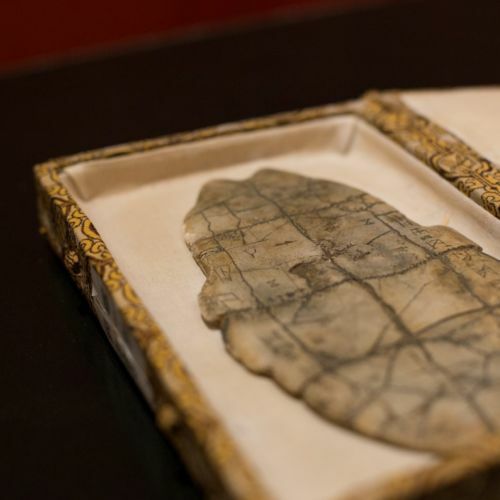 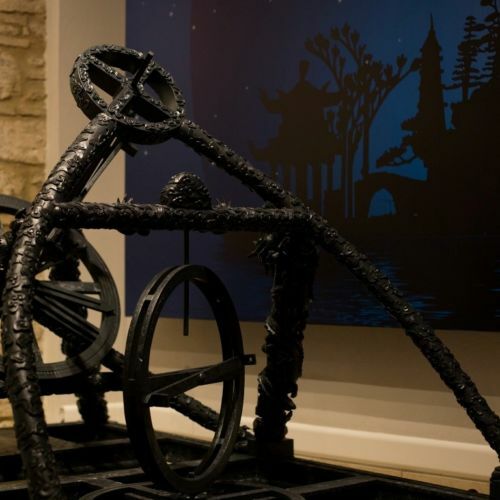 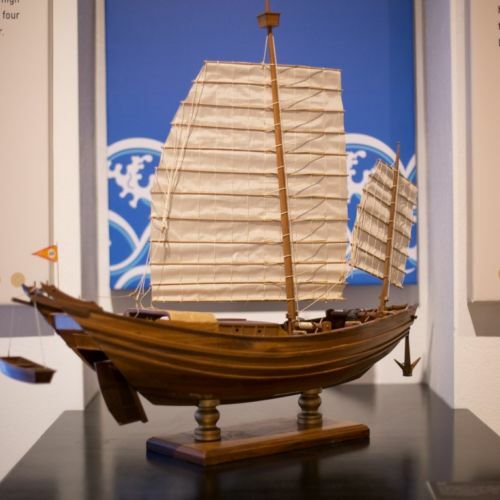 The collection highlights the innovative and technological achievements of China dating back thousands of years, allowing visitors of all ages to discover and appreciate their impact on the course of world history. 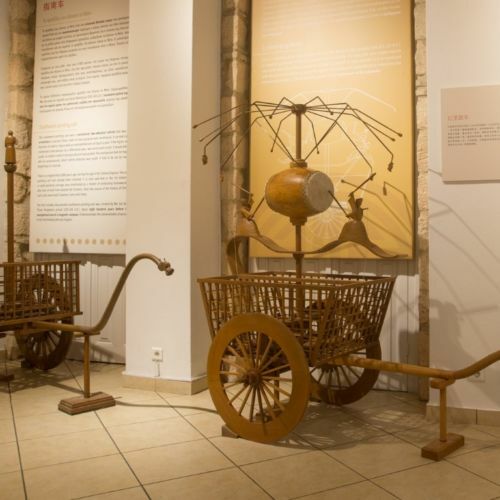 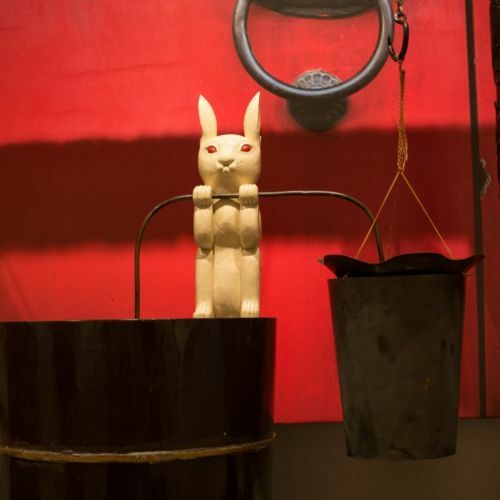 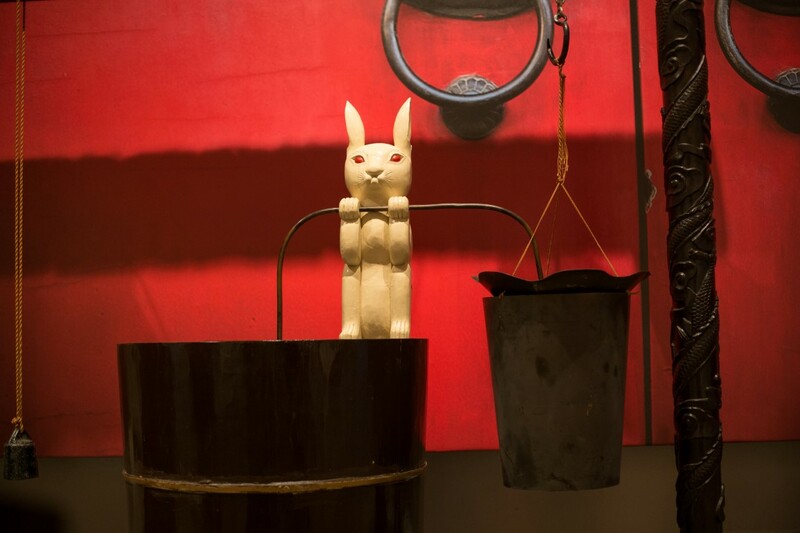 Over 90 exhibits, all accurate reproductions of the most important Chinese inventions dating since the third century B.C.E. 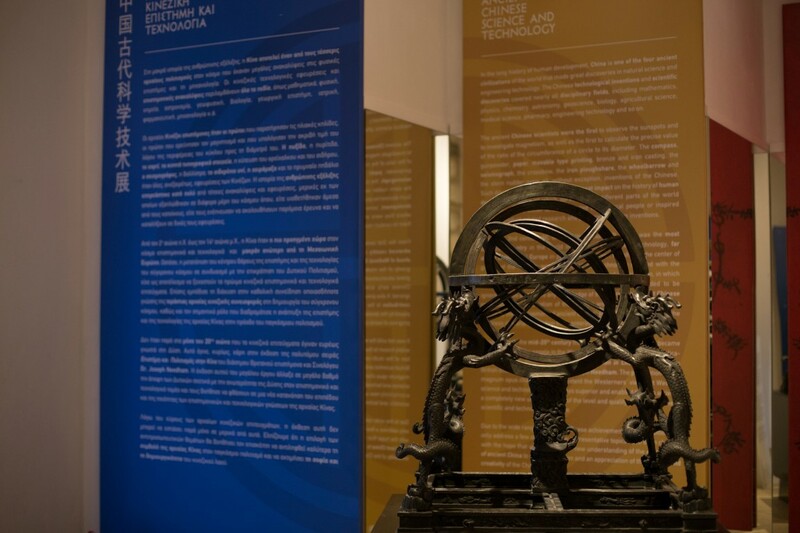 through 1000 A.D.
Exhibits that focus on Chinese scientific discoveries and technological inventions that cover almost the whole spectrum of the sciences, such as mathematics, physics, mechanical engineering astronomy, geophysics, biology, botany, medicine, pharmaceutics and chemistry. 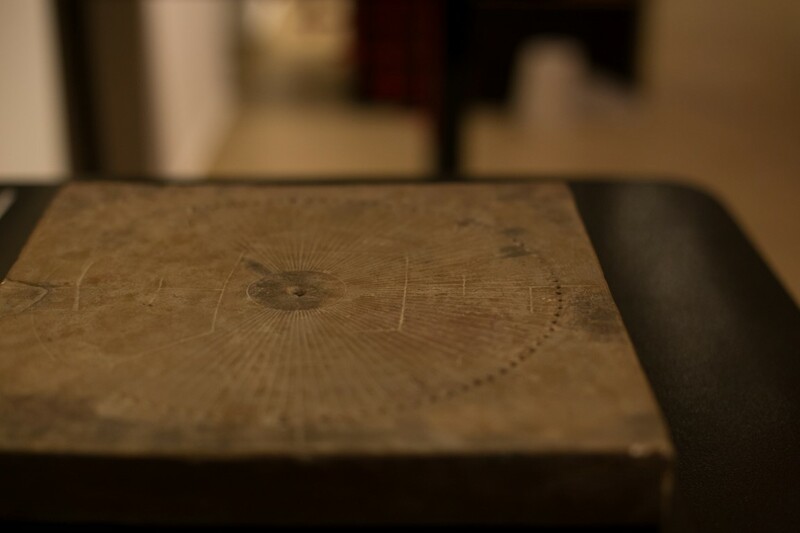 High resolution images, captions, wall texts. 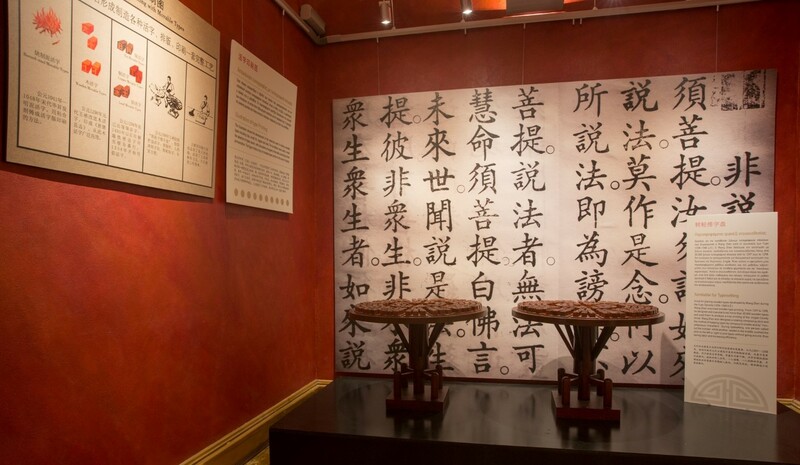 Requires 8.000 sq. 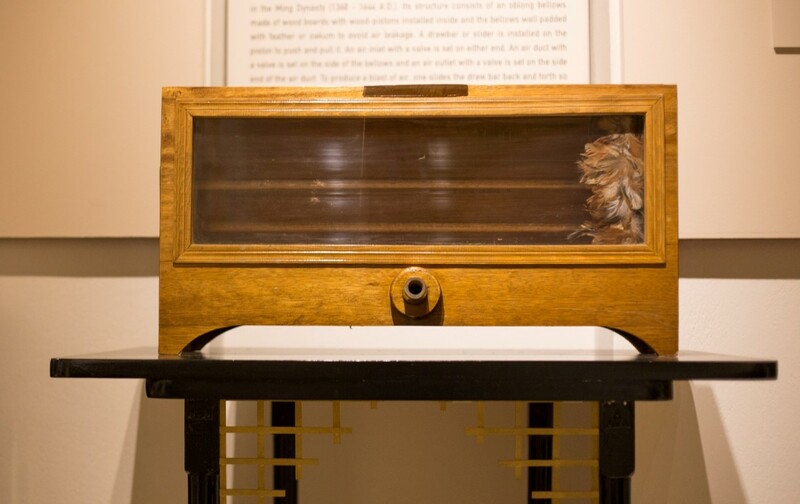 ft. for the entire collection but venues can display fewer objects with a rotating schedule. 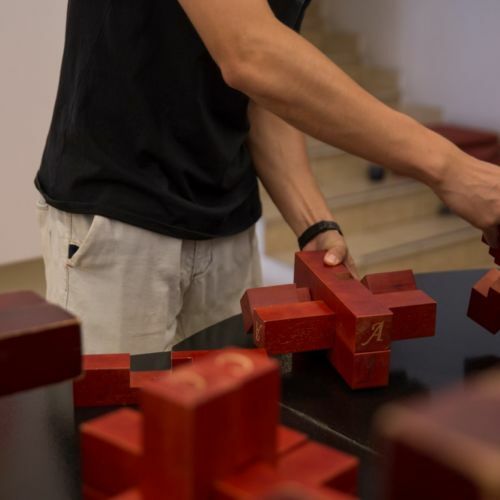 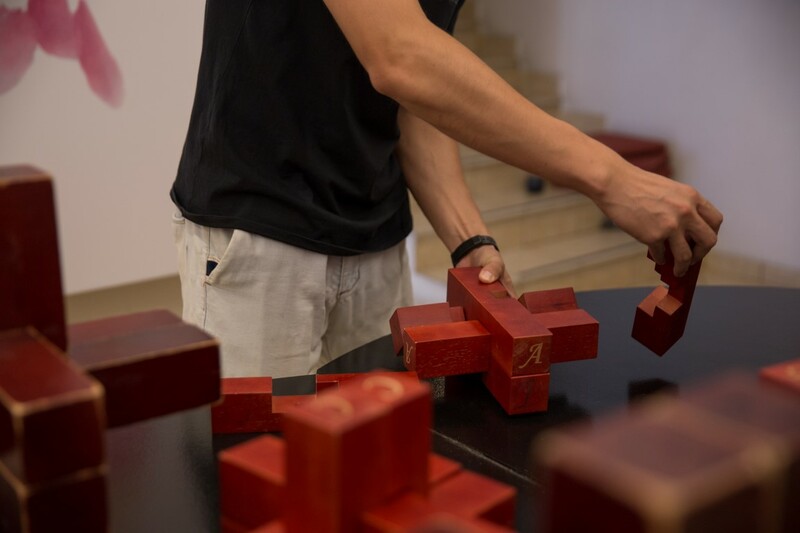 A team of experts from China is responsible for the unpacking, installation, assembly, as well as the deconstruction and repacking of the exhibits.